Beastie Boys‘ second album. Release date: July 25, 1989. Featuring production by the Dust Brothers, the recording sessions for the album took place in Matt Dike’s apartment and the Record Plant in Los Angeles from 1988 to 1989, after which the recordings underwent mixing at the Record Plant in Los Angeles. Subsequent remixes were done at the Manhattan-based Record Plant Studios. The album is noted for being almost completely composed of samples, excluding the group’s vocal output. Paul’s Boutique was initially considered a commercial failure by the executives at Capitol Records, as its sales did not match that of the group’s previous record, Licensed to Ill, and the label eventually decided to stop promoting the album. The album’s popularity continued to grow, however, and it has since been touted as a breakthrough achievement for the Beastie Boys. Highly varied lyrically and sonically, Paul’s Boutique secured the Beastie Boys’ place as critical favorites in Hip Hop. 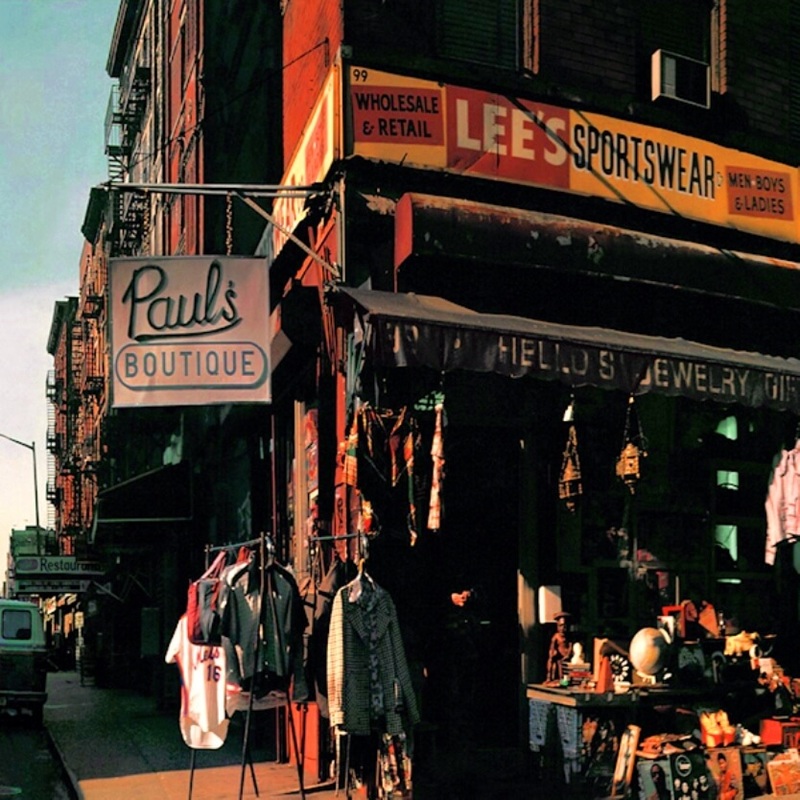 The album’s rankings near the top of many publications’ “best albums” lists in disparate genres has given Paul’s Boutique critical recognition as a landmark album in Hip Hop. The panoramic photograph of Ludlow Street by Jeremy Shatan.